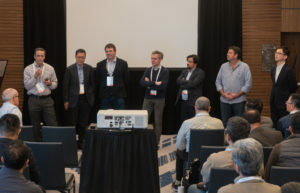 Last week at the Open Networking Summit (ONS), the ONF made a big splash as our operator partners made a monumental commitment to open technologies, disaggregated networks and realizing our vision of SDN. The news was mainly about boosting the supply chain of equipment vendors who will help with the network transformation ahead. To find out where individual operators are headed, check out the videos from Comcast, AT&T, Turk Telecom, Deutsche Telekom, Telefonica, China Unicom, and NTT on their deployment plans here. Scot Petersen of eWeek caught up with the ONF and AT&T’s Andre Feutsch: AT&T, other big carriers push Adoption of Open Network Deployments. Carol Wilson of Light Reading examined how Open Source Zeroes in on the Edge and talked to Telefonica’s Patrick Lopez on how operators are taking charge. CIMI’s lead analyst Tom Nolle reported on a buyer side revolution in networking.